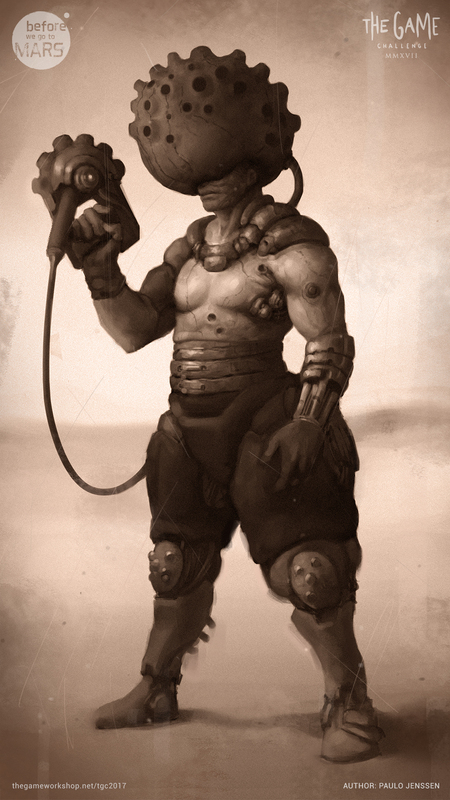 Designed for the desert, this guardian has a special helmet installed that absorbs the surrounding heat to generate engery. The creator sends this creature out to hunt or patrol areas. The desert guardian works mostly alone and is able to suvive for multiple days in the hottest regions thanks to his durable design. Survivors and Nomads fear him greatly because of his endurance and speed at which he can run, but are able to overcome him in groups if they manage to trick the guardian into overheating his helmet.